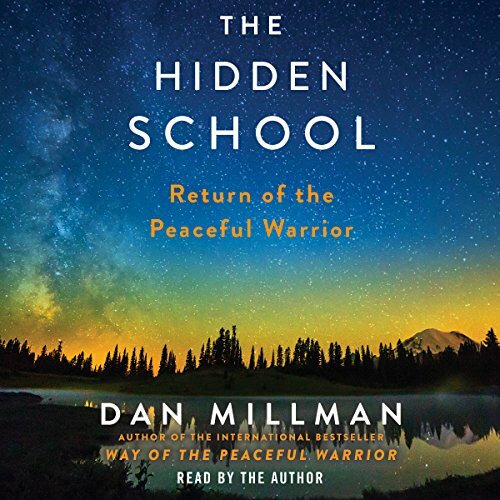 Continuing his journey from Way of the Peaceful Warrior and Sacred Journey of the Peaceful Warrior, Dan Millman moves from Honolulu to the Mojave Desert, from a bustling Asian city to a secluded forest, until he uncovers the mystery of The Hidden School. While traveling through continents, he reveals lessons of life hidden in plain sight - a link between everyday reality and transcendent truths pointing the way to an inspired life in the eternal present. Throughout this saga you'll meet remarkable characters and experience brushes with mortality as you explore the true nature of reality, the self, death, and a secret as ancient as the roots of this world. Awaken to the power of paradox, humor, and change. The Hidden School contains a book within a book, a quest within a quest, a bridge between worlds. This story drew me in immediately. 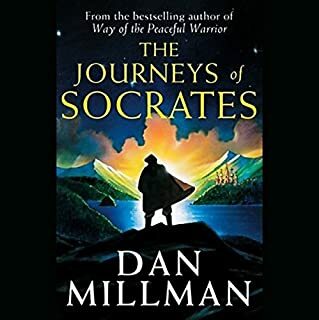 I love how Dan Millman elegantly unfolds his wisdom through adventure, action, and thought provoking riddles. Each chapter seemed to take me deeper into the soul of my own peaceful warrior. Once again, he has written "a book that changes lives". What other book might you compare The Hidden School to and why? What does Dan Millman bring to the story that you wouldn’t experience if you just read the book? I enjoy both and usually try to read a book first, which gives me the message through the filter of my own experience. After tha, I like to listen so as to widen my understanding. In the case of Dan's books, he reads them all himself. With his articulation and verbal emphasis here and there, I go past my own filter and tune in to his perspective. With this, I gain more understanding of the teaching. What did you love best about The Hidden School? I loved how it all comes together in the end, and that throughout there are so many awesome insights & ideas that got me thinking more deeply. Dan of course. He gets to experience incredible things and I enjoy following his Peaceful Warrior journeys. Which character – as performed by Dan Millman – was your favorite? If you could rename The Hidden School, what would you call it? Perfect name for the book! 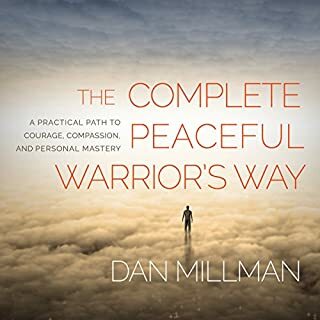 Dan Millman has written books that have changed my life in a great way. I was so excited to meet him at a book signing for The Hidden School! He is a great speaker and of course exquisite writer. Enjoy the book! The guide through troubling waters that I was in search for. 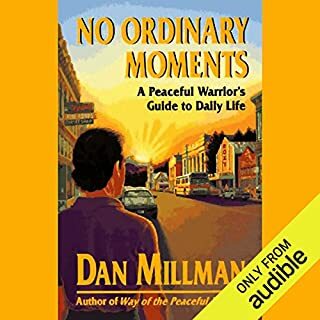 Dan Millman has changed my life through every one of his works! I loved every part of it. Listening to the author's voice telling the story makes you feel like you are part of it, that you're there. I can sense de peace and wisdom that the past years have given him. I want to thank Dan Millman deeply for sharing this. It has helped me throughout my journey and I will be forever grateful. 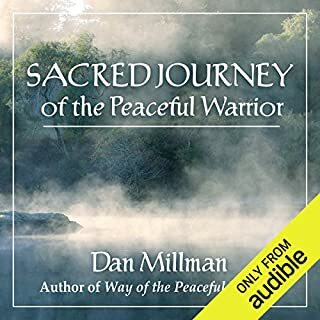 I really enjoying going on the journey with the peaceful warrior. 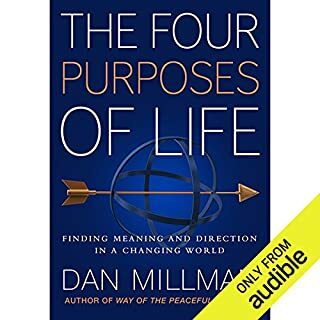 This is the second book I read by Dan Millman. Even though I read the books out of order, the journey is still incredible. 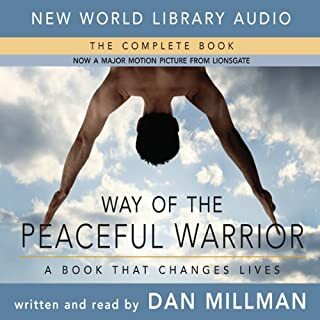 For anyone who wants to go on a journey themselves through a book this is the book you need to read after reading the following two books: Way of the Peaceful Warrior & Scared Journey of the Peaceful Warrior. I promise you, you will be hooked. I was one of the surely hordes of people waiting for the third book in the series. It's hinted at in the first two books but we had to wait such a long time. And then it was finally here. It's incredible. Very different from the others but with a thrilling adventure spanning many continents and an overall very uplifting and positive outlook. The mystery of the little samurai from the underwater cave is solved, or, at least, Dan is given closure. I have read the first book about 50 times, the second one about 30 I think, and this one I've read about 7 or eight times so far. A great and, who are we kidding, necessary investment. Apart from this series, I rely heavily on Abraham-Hicks and Wayne Dyer. I also highly, highly recommend Mickey Singer's The Surrender Experiment. We are so blessed to have these amazing teachers available to us. What an exciting time!! Dan, please write one more novel. Every year.